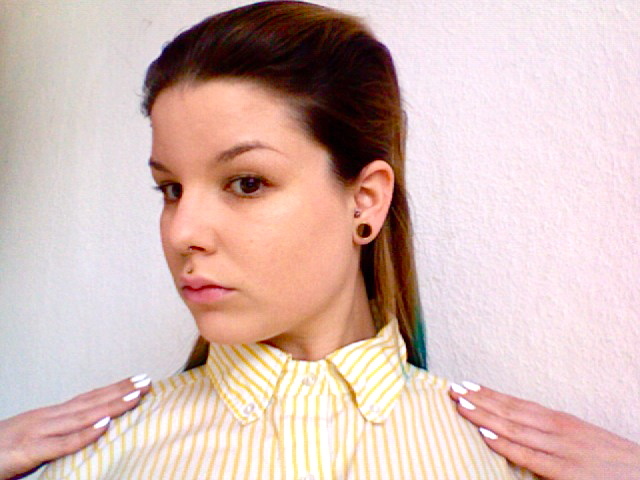 One of my favorite hairstyles for the upcoming summer season is the back combed sleek look, possibly with wet roots and dry straight ends. 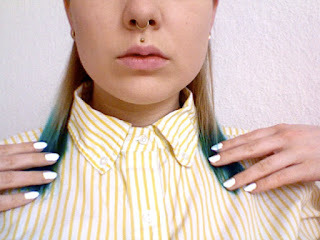 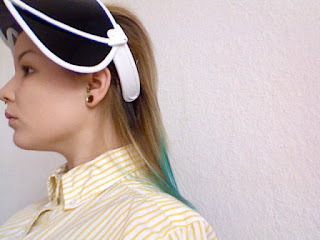 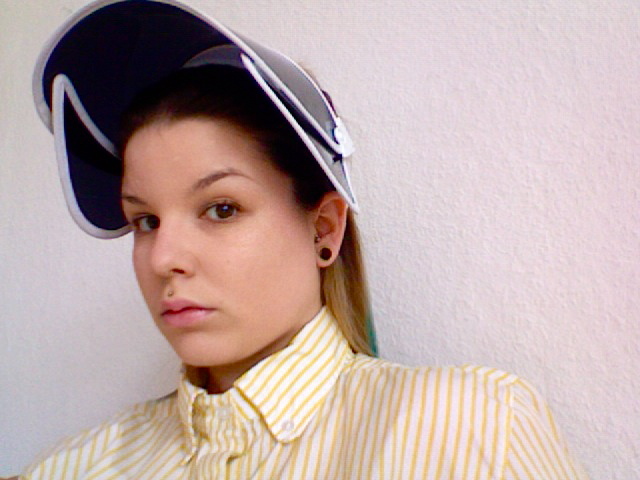 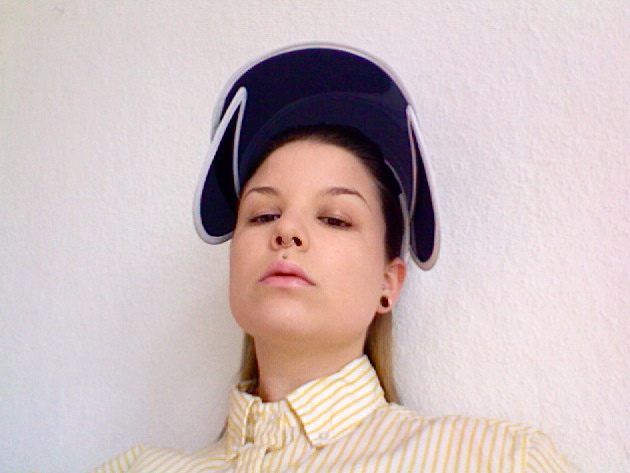 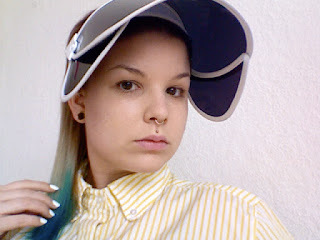 Adding a sun visor from Starstyling and a second hand American Apparel shirt... Anyone remember the old uniforms of McDonald's?